Lines laid out in the grass can just be seen in our photo. 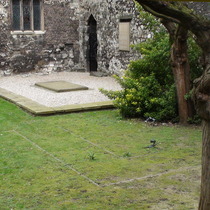 They indicate what is now thought to be the site of the original Priory Church and in our terms are a "ghost building", such as the Roman amphitheatre. There the Google Maps satellite view is very useful but here the shadows make that useless. 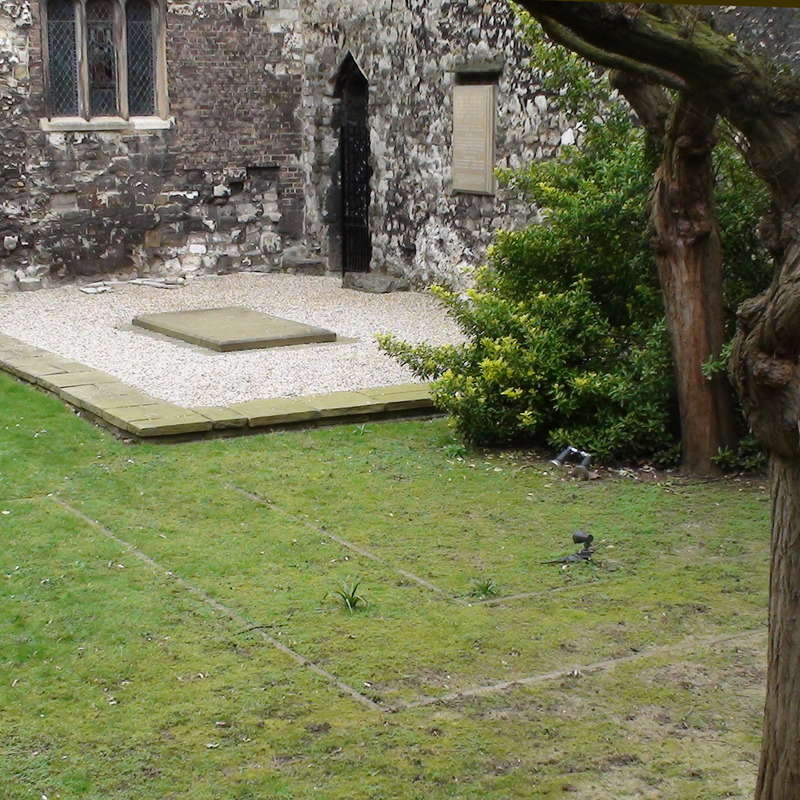 A private commemoration ceremony takes place at the Carthusian martyrs plaque on 4 May, the date of John Houghton's execution, each year.